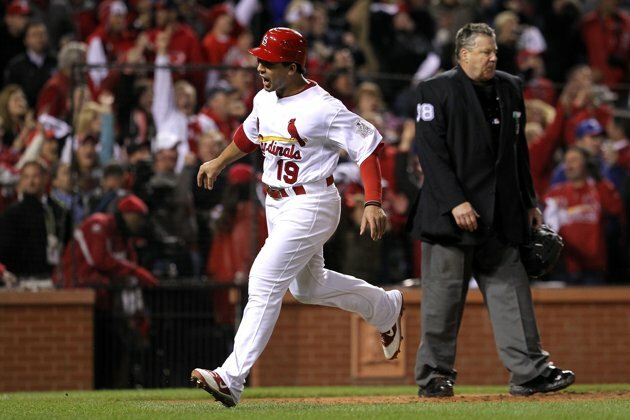 – The St. Louis Cardinals rallied from deficits in the 9th and 10th innings to defeat the Texas Rangers 10-9 after a David Freese Walk-Off Home Run in the bottom of the 11th. The Series is now tied at 3-3. Game 7 takes place tonight in St. Louis. It is about 2:00 in the morning right now, and I have decided to get a jump start on this Walder Recap blog post, as I am still riding the high of what I have just witnessed. To be discreet, that was one of the most incredible things I have ever seen happen in Sports. That game was over. That series was over. The Texas Rangers were 1 strike….not 1 out….but 1 strike away from ending this thing and walking away World Champions. But here we are. Game 7 merely hours away. I have never been so compelled by a baseball game in my entire life. This is coming from a guy who was glued to his TV on the final game of the season to see if the Tampa Bay Rays would steal the Wild Card from the Boston Red Sox. That in itself was incredible. Last night topped that. The Cardinals played like they were starring in a Zombie movie, coming back from the dead on so many occasions that I lost count. David Freese’s 2 run triple in the 9th, Lance Berkman’s game-tying single in the 10th, and then it all came full-circle as Freese hits the game-winning walk-off home run in the bottom of the 11th. The sensible and realistic sports fan in me didn’t believe that the Cardinals could strike gold on 3 separate occasions, especially twice being 1 strike away from defeat. But that is what St. Louis has been doing all season. Defying the odds. They shouldn’t even be in the position that they are right now. Being 8+ games out of the Wild Card in September, and then to make a comeback like they did to overtake the Atlanta Braves and sneak into the playoffs might have been enough for some teams. Then to overcome the “5 star” pitching that is the Philadelphia Phillies, and the home run power of the Milwaukee Brewers to just make the World Series is an accomplishment unto itself. How could you not root for these guys to win it all now? I did pick the Texas Rangers in 7, and as the straight-shooter that I am, I will stick with the Lone Star state. Whoever wins tonight is going to have to earn it though. St.Louis is still riding the high of last nights victory, and we shall see if they carry it over into tonight. Now is not the time for Texas to sulk in their Game 6 sorrows either. They have one last shot to close this thing out. I would say don’t expect quite the drama that we have seen over the course of the Series in tonight’s game, but how can I at this point? This is a Game 7, the first in over 8 years. It will be nothing but drama. Chris Rose said it best in last night’s post-game show. If you are not watching Game 7, then you are not a Sports Fan. 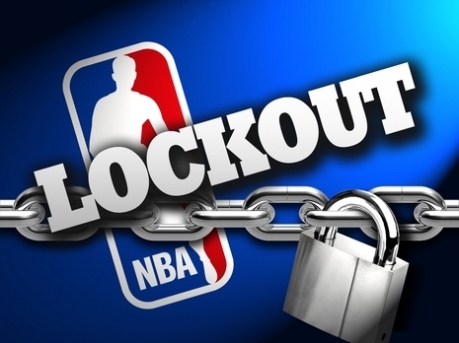 – The NBA Players Association and NBA owners appear to be close to an agreement that could save this years NBA Season. Both sides will meet again tomorrow in hopes of finalizing a deal. Finally, some actual progress it seems. I am not holding my breath on this one, but it is something to be optimistic about. 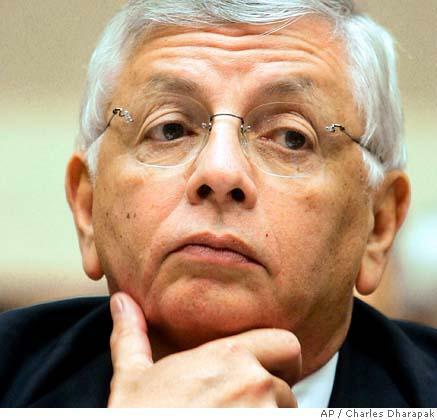 NBA Commissioner David Stern says that if a new labor agreement isn’t reached in the next few days, then it would be considered a “failure”. Those are some strong words from the Commissioner. Don’t sell me hope and then take it away from me please? This is the furthest the talks between the 2 sides have gone. I am starting to believe that both the players and owners are sick of this just as much as the fans are. An agreement has to be made now. The entire season can be saved if a deal is reached within the next week or so. That would be great news for fans that have been pining for some actual NBA basketball, and not all of these high school workouts and 179-178 charity games that players have been hosting. Make it happen! The time is now to come up with a deal that can work for both sides, so years from now, the league doesn’t encounter this same predicament all over again. Whether there is a hard salary-cap in place, or a tax instituted for high-paying teams or any kind of change involving player salaries, just make it happen. Of course, free agent signings and training camps would need a couple of weeks to occur before a season, especially for all of the newly selected draft picks. As well, a lot of current players are playing Basketball overseas, so those contracts will need to be taken care of as well. But never before have I been more optimistic about a season happening then right now. Don’t ruin this feeling for me, NBA. 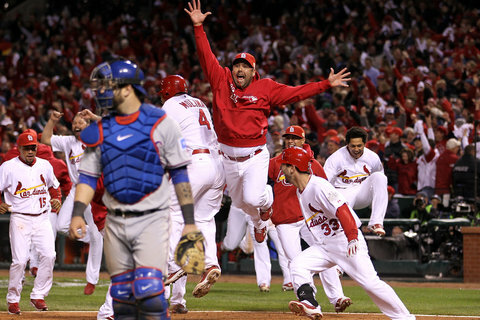 BONUS: A look back at David Freese’s Walk-Off Home Run. Please excuse the quality. This entry was posted in MLB, NBA, Walder Recap. Bookmark the permalink.